Your original document is protected under copyright law automatically from the moment you create it in a tangible form, according to the U.S. Copyright Office. Copyright law provides that the owner has the exclusive right to reproduce the work, distribute copies and to perform or display the work publicly, as established in the 1976 Copyright Act. Formal registration, however, establishes a public record of your copyright and also provides you with a certificate of registration. 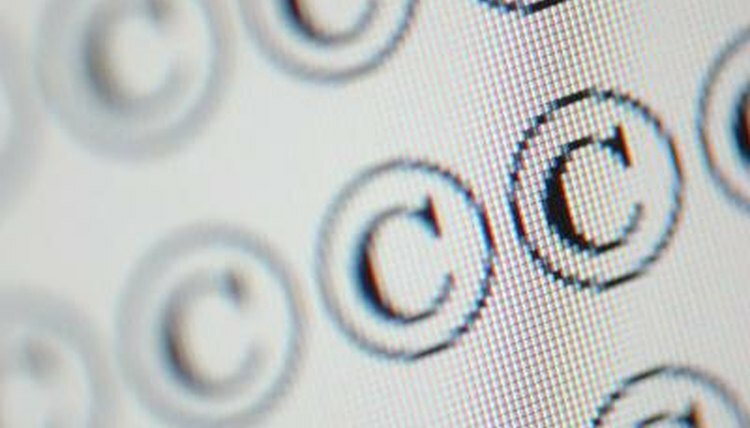 Recording your copyright is required if you plan to bring an infringement lawsuit, according to the U.S. Copyright Office. Complete an electronic copyright application. The U.S. Copyright Office recommends that you take advantage of faster processing times and lower filing fees by using the online application. Access the electronic application at http://www.copyright.gov/forms/, by following the link to the Electronic Copyright Office. Submit the correct filing fee with your electronic application. The basic fee for an electronic copyright claim is $35 and can be paid by credit or debit card, electronic check or a Copyright Office deposit account. Upload or mail your documents for copyright registration. Once you have submitted your payment, press "Next" and choose "Upload Deposit" if you want to submit your document electronically. If you prefer--or are required--to mail your document, click "Submit Your Work" once you have received your payment confirmation. Choose "Send By Mail" and then click the "Shipping Slip" link to create a shipping label. Murphy, Pam. "How to Copyright Protect a Document." , https://legalbeagle.com/5905209-copyright-protect-document.html. Accessed 20 April 2019. How Do I Get a Copyright on Something I Have Written?